Why Choose us .... Why Douglas Clift & Co? 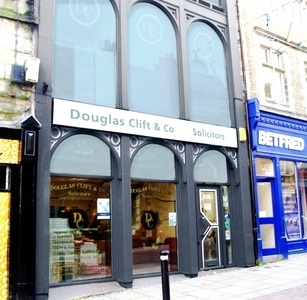 Douglas Clift & Co have a friendly team specialising in personal injury claims.We will provide you with a personal service and will endeavour to make your claim as stress free as possible. As a specialist firm of Personal Injury Solicitors, Douglas Clift & Co are regulated by the Solicitors Regulation Authority which ensures high standards of professional conduct and client care. Our commitment to all our clients is to ensure they receive the maximum compensation they are entitled to, without any hidden charges for legal costs.